The first Bush vs Clinton was 1992. By then the Bush family had already been in Republican Party politics for decades with Bush The First having held office as CIA Director, eight years as Reagan’s VP, and already four years as POTUS. Then came the Clintons taking over Democratic Party politics. Can it really be in a country that tries to portray itself as a real and vibrant democracy that such families and the small super-wealthy class that controls both parties are allowed to monopolize, extort, and exploit, all political and financial power? Can it really be that once again a Bush and a Clinton are going to be the candidates in 2016?! At the moment here in land of legalized corruption known as Washington DC that’s what the talk is all about! 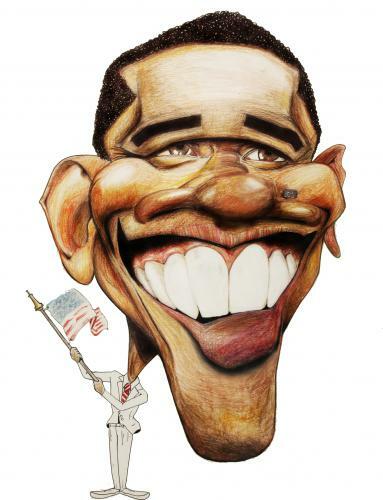 OBAMA must fire his international affairs SPEECH WRITER! Whoever wrote and is responsible for Obama’s major Brussels speech a few days ago needs to be fired or at least sent for “re-education”. He not only got Obama to remind the world about Iraq claiming that what Russia has done in Crimea is worse than what the US did in Iraq! Oh my how crazy is that one! He also got Obama to highlight what he proclaimed was an internationally accepted vote that took place in Kosovo, unlike what happened in Crimea according to Obama. But, there was no such vote in Kosovo while there was quite an overwhelming one in Crimea! Oh my how inept this one! How tragic that we’ve reached a point where the speeches given by the President and Foreign Minister of Russia are usually more thoughtful and credible and fact-checked than those given by the President of Secretary of State of the United States! Comments : Comments Off on OBAMA must fire his international affairs SPEECH WRITER! Usually the “special relationship” term means the US and Israel. But it is the “special relationship” with the Saudis that should also now be brought to an end. Together with the US, and increasingly in de facto alliance with each other, Israel and the Saudis control the Middle East through their hold on the U.S. using big money, covert actions, expensive weapons, oil supplied, petrodollars, and what is called intelligence. In combination, the US/Israel/Saudi alliance has them all. Problem is the Saudis are not only one of the most repressive, dictatorial, secretive, and backward countries in the world…they are as well a long-term albatross for the Americans. With the Saudis as well as Israel the main U.S. allies in the critical Middle East region all American pretentions to democracy, freedom, and liberty ring hollow. And as a result many of the peoples of the region, and beyond, despise and hate the policies of the U.S. government…and rightly so. In recent years the Saudis have deviated from their long-term policy of trying to stay in the background and do things quietly. They encouraged and fueled the counter-revolution in Egypt and are the principle financier of the far-worse-than-Mubarak Cairo Junta. They invaded Bahrain to keep the Royals in power and put down the Arab Spring there. They arm and finance the Islamic rebels in Syria and are responsible for bringing about the greatest civil war and greatest misery to the Arab world in modern history. They keep urging the US and Israel to take down IRAN…”the head of the snake” says the Saudi King sounding like Natanyahu. Repression, imprisonment, and torture at home are greater than ever to any and all who speak out. And oh yes, top Saudis were involved in financing and encouraging 911…that part of the story has been classified top secret and totally covered up..
Just when I’m feeling a little anxious about my use in recent weeks of such terms as “understandable” and “justified” when it comes to Russia and what has seemed to me, under all the circumstances and history, a reasonable counter-reaction, there’s big help and a kind of validation. The former Chancellor of Germany, Helmut Schmidt, says what Russia has done, what Putin has ordered, is “completely understandable” and the sanctions coming from the US and EU are “stupid”! And action-star American hero Stephen Seagal not only says the same but declares Putin “one of the great living world leaders” and criticizes U.S. policy about Ukraine “idiotic”! And Seagal is a Republican! There are others as well…professors like Stephen Cohen at NYU and former diplomats and a few excellent think-tanks spokesman (I’m thinking of those in Canada and Sweden at the moment). But the American media gives them few opportunities to speak up and drowns them out with all the screamers, belligerents, and U.S. government-sponsored talking-heads. POLLARD! Obama and Kerry BLOW IT AGAIN! You just can’t count on this duo. They always seem to come up short. They talk the talk but then when walking the walk they usually trip and stumble. The latest twist is with the “peace process” and Israeli super-spy Jonathan Pollard. Sunday I wrote about a deal that would make political and historical sense! The U.S. would give Israel Pollard, this would make it possible for Israel to give up Marwan Barghouti, and that would not only make it possible for Mahmoud Abbas to continue the “Peace Process” (still grotesquely disingenuous but I’m overlooking that at the moment) and with Barghouti’s involvement it just might go somewhere other than to oblivion…if that is…the Israelis are serious (of course I don’t believe they are but hope springs eternal). Just happened that evening I had dinner with a senior Jewish American rather intimately involved through an organization with the “Peace Process” and the White House. Just happens the next day a White House official and others were informed of the idea. I was informed of what transpired last night. Then early this morning, Wednesday, comes the news that Kerry is breaking off from the President’s European trip to rush to the Middle East (again!) to meet with Abbas in Jordan and probably Bibi in Jerusalem. And at the same time there’s a story floated that the U.S. is willing to give up Pollard if the Israelis will fulfill their prior promise to release the fourth group of Palestinian prisoners they’ve held for decades. Now I’m not suggesting that this sequence of events actually impacted what is now happening, but who knows these days who is talking to whom… and there is so much political desperation and hunger! With Obama today in Brussels for meetings with top E.U. and NATO officials, it’s crazy that Kerry is stepping out and once again running back to the Middle East. He’s got a whole senior team of highly paid officials working on “the peace process” full-time non-stop. Having our Secretary of State act like a messinger boy constantly breathlessly running back and forth has become not only tedious and unbecoming but stupid as well. Why should the Americans even be considering giving Pollard to the Israelis, to Netanyahu, simply so they will fulfill their promise to release Palestinian prisoners they long ago already promised to release? Oh, and by the way, there was another part of the proposed deal I passed on rather privately Sunday. Obama and Kerry should be telling the Israelis that an unspoken part of the deal should be that “quietly” within a few months of the Pollard/Barghouti trade the Israelis should let Mordechai Vanunu fly away from Israel! Beyond self-serving politics of the moment let’s have some justice and decency once and a while. Comments : Comments Off on POLLARD! Obama and Kerry BLOW IT AGAIN! Yesterday Obama arrived in The Hague for a major international Nuclear Security Summit. The day happened to be the 15th anniversary of the start of the 78-days of bombing in 1999 when the US led NATO in dismembering Yugoslavia — but not a word from Obama though he can’t stop condemning Russia’s peaceful and understandable takeover of Crimea. It was also the day when the Egyptian Junta, led by Generals all trained in the US with close ties to the Pentagon, gave the death sentence to 529 Egyptians for rising up against the military coup that has destroyed Egyptian freedoms and any hope of democracy in that country. The court proceedings were extraordinarily ludicrous…but not a word from Obama…and he hasn’t in fact even yet called the coup a coup! It was also the day that a Yemeni man, kept illegally at Guantanamo for 12 years with no charges ever brought, cried out in desperation to the courts after 5000 (no typo!) times being strapped down and “force fed” coupled with a semi-torture forced-water procedure known as “Pumping”. One of Obama’s first promises was to close Gulag Guantanamo in the first year of his Presidency. But not only has he not done so, he has condoned what continues to happen there as Commander-in-Chief! As for the Nuclear Security Summit, more gross hypocrisy from Obama. While applauding the US-orchestrated putsch coup in Ukraine, as well as continuing U.S. support for the military Junta in Egypt, he keeps condemning and sanctioning Russia for reacting in quite justifiable ways. No sanctions or condemnations for Egypt or Ukraine. As for the later, it’s new American appointed and financed unelected leaders are talking about rebuilding Ukraine’s nuclear weapons and they even refused to attend the Nuclear Security Summit! Again not a word from Obama though he keeps threatening to bomb Syria and Iran for pursuing policies understandable and actually justifiable in view of the threats they face. And then there’s Israel — the greatest and most sustained example of American hypocrisy. Financed and armed by the U.S. and E.U. Israel has a vast arsenal of nuclear and other weapons of mass destruction, and it is a country that violates basic American values over and over again, time after time, year after year. And let’s not forget the other top American ally in the Middle East – Saudi Arabia! In fact after his Europe meetings that’s where Obama is heading for the second time in his Presidency! Saudi Arabia! The country that instigated and finances the Egyptian Junta! Saudi Arabia that invaded Bahrain to put down popular protests! Saudi Arabia that is arming and financing the Islamic rebels in Syria fomenting the worst Arab civil war in modern history with so much death and misery! Saudi Arabia, the country along with Israel urging the U.S. to attack Iran! Saudi Arabia, one of the most repressive and dictatorial countries in the world! When a country, the United States, and now its current leader, Barack Obama, have such a record of hypocrisy and double-standards no wonder so many in the world consider the U.S. the greatest threat to world peace these days! It was exactly 15 years ago today that NATO, led of course by the U.S., began bombing to break up what was Yugoslavia, official then Federal Republic of Yugoslavia. Just a few years before the Soviet Union had collapsed and NATO was relentlessly moving to incorporate former Soviet areas into the western anti-Russia military alliance. 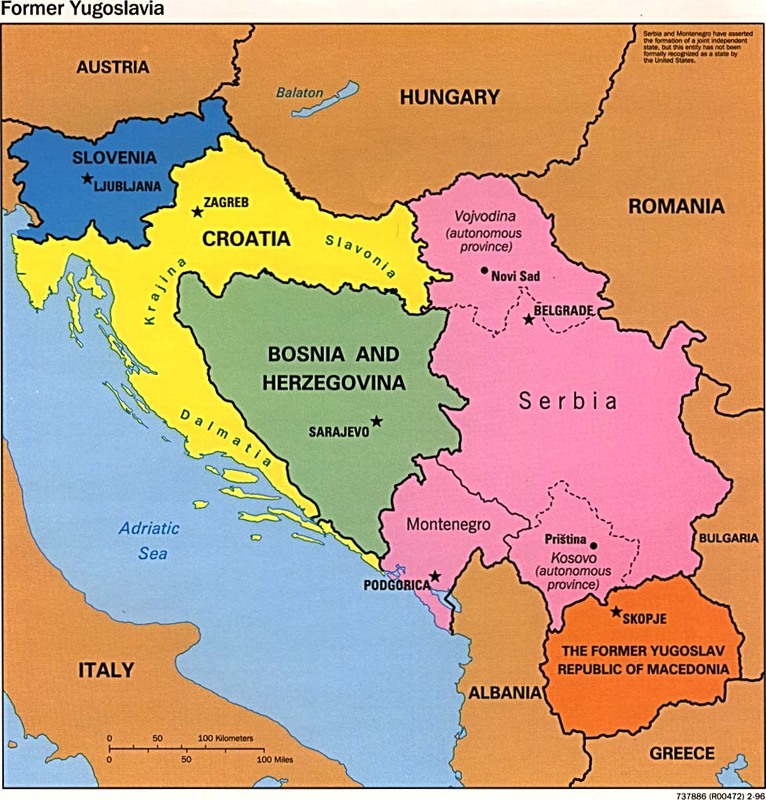 The U.S., and NATO bypassed the U.N. and created so-called “humanitarian” pretexts for forceably dismembering Yugoslavia and then Serbia. The bombing campaign lasted 78 days! It should be remembered, especially in view of what is happening these days in Ukraine, that there was almost a clash of Russian and NATO military forces a few months later.